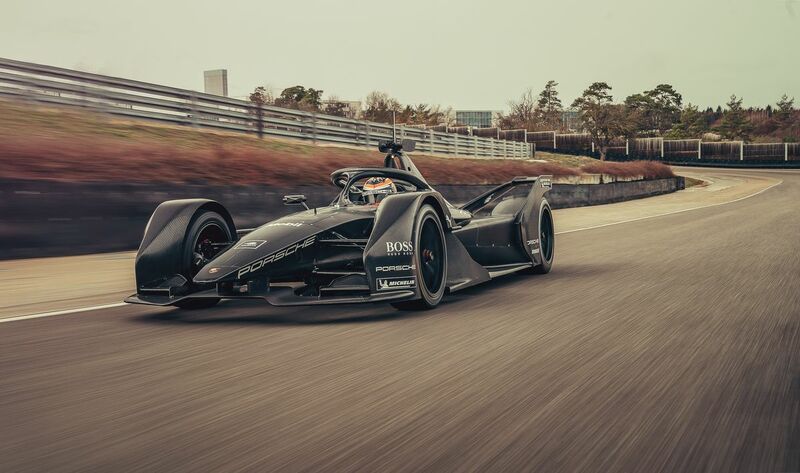 Porsche works driver Neel Jani (Switzerland) completed the first kilometres in the new Formula E car at Porsche‘s testing ground in Weissach yesterday, thereby reaching an important milestone en route to the works entry in the ABB FIA Formula E Championship for Season 6 (2019/20). The first drive with the newly developed fully electric Porsche powertrain passed without incident. It provided valuable findings, which will help the motorsport engineers prepare the car for the first Formula E race in the course of intense testing over the next few months.